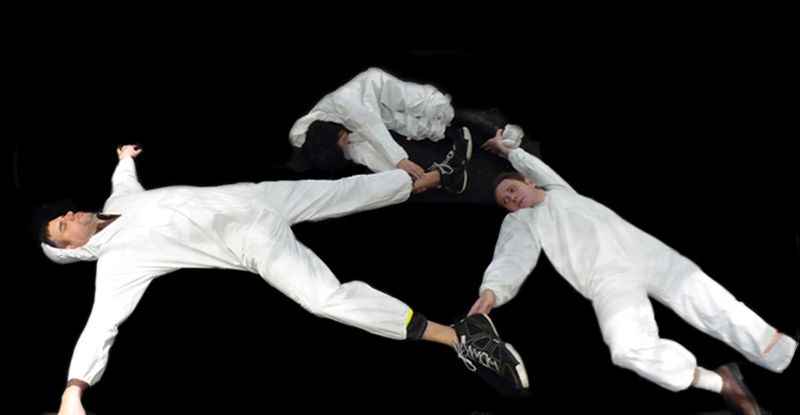 for constellating and the like, we’ve been using painter’s jumpsuits reused from jack’s hole project from 2008. however, over time the jumpsuits are getting worse for wear and we need to acquire more suits to really make constellating/topographying/radiating/branching kabowbamboom! we’ve discussed making our own suits. but buying and using sheets, even if they’re from goodwill or something, to make these suits feels way too kkk, so no dice in that direction as far as i’m concerned. 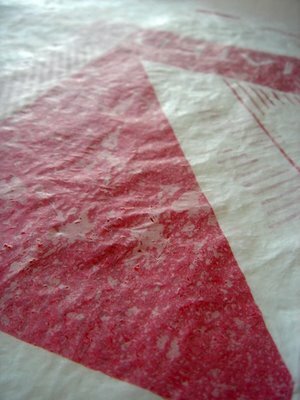 regardless, here’s the best tutorial i’ve found thusfar for making the fabric; a make video that shows how to make fused plastic fabric in prep for messenger bags. and another one from etsy. to recap: constellate is the first of the reclamation “rituals” created to accompany planetarium. it asks people to choose a constellation (and the more enthused like mark and gregory create their own) and create them with their bodies. interpret as you see fit. and don a white outfit from home depot to boot. constellate anywhere, whenever, at any time. get your picture taken, or take a picture and send it to us to upload and then thank you very much because we’ll do just that. some of the pics have been put on this blog already in an informal way. as of today, more “formal” pics — with constellation and participant names attached and backgrounds photoshopped out, are available for view (and comments) on the reclamation project flickr page and on a subpage purely devoted to constellate here. since october, reclamation has taken this piece to various ends of the universe. at fritz haeg. then the day after fritz haeg, drew and i along with 2 of our brave friends tried it out at grand central station in nyc. ari kletzky of islands of la has partnered with drew, jack, and claudia to do some more constellating on and across traffic islands — so i suppose you can say it’s island/star-hopping — as well. and that’s only just the beginning. i’ve been thinking about how to present the documentation. the photos we took and continue to take of constellate and others to come. as much as i am interested in the act, the gesture, the conflation of the individual-communal act, the fun, the nerve-wrackingness of ritual, i’m also interested in the archive of the thing. documenting these constellating souls, sending documentation back to those who participated so that they/he/she/it/you can have evidence of their/his/her/its/your own cosmic participation (for better and worse), and then considering what do we do with all of this accumulated information? this research, this archive? a rhetorical question, indeed. one i don’t have The Answer for. but at least for constellate, i plan on bringing constellated imagery together. envisioning that once we have collect a critical mass of constallations, of placing reclamation constellations in an expanse of night sky in the appropriate places. in a massive photographic mural that tells its own story of reclamation, of people, of how we come together or don’t, as murals often do. to this end, in each space, i’d like to set up a very portable space for carrying out topography, etc. (preferably against a green screen-esque background for obvious photoshopping reasons). am thinking the different overlay perspectives also work well with encompassing a “total view” as constellate looks at the world from bottom up, topography is from top down, branch is horizontal, and radiate is spherical/360. there’ve been discussions amongst the five of us regarding object versus the gesture versus performance, etc. (with lots of references to this that and the other Very Important Smart Person that would beef up this post into something most impressive illustrating our profound literacy and substantial understanding in art and critical theory. but names, etc. escape me at the moment and just wanting to go on this thread, so will get to that later). there’ve been questions/criticism of things/objects — as something that takes up space, isn’t necessarily good for the environment, the headache that is storage, and potentially is just the fallout of consumerist culture. in short, there’s been much criticism of the object, perhaps a backlash in the wake of relational aestheticism. after long convos on the subject, we generally end up saying, well, the installations we’re making are different because they’re not simply “things” but spaces/houses for performance. but do we need to qualify the installations in this way? are they not justified in and of themselves? i think they are, for the two — the gesture/performance and the object/making the object — are not mutually exclusive. in fact, they are in many ways the same thing. first off, i have to say, i like making things. whether it is making the parts of aquarium, planetarium, etc. in putting together instructions for constellate, in gathering the research and documentation and seeing that these parts can create another story in a mural, that the making is a processing as well. a meditation, something that makes me probably a better person to be around, more functional in this universe, and even if that’s the only result to everything, i think then making serves a purpose (though i suppose, if i was making something wholly nefarious like torture chambers, or something, well, that presents a dilemma…). yes, there’s an end product, a thing for sure, but it’s not just about “here’s this thing i made.” the investment in making, the gesture, the time in processing, a work is and can be the reflectino/reminder/impression/product of that. not simply a fixation on the end product. just because you make a widget doesn’t mean it’s about the widget. and in that way, there is no difference between making a work in front of other people (performance) and by yourself (making something/an object even if no one ever sees it), especially if learning, processing, problem-solving, insight-gaining happens during both. likewise, just because the art object has been commodified, etc. does not mean we have to commodify it or that when it comes down to it,or value it if we don’t value it, or consider it garbage if everyone else thinks it’s garbage (and so we come fuuuulll circle… to garbage that is). this isn’t to say that every thing in this world resonates with some magic aura, but objects/things — they can serve as touchstones and batons of communication and conversations and thoughts and imaginations that we would never have otherwise. the making without always being around others — well, that also offers a gateway for some solitary meditation about people, etc. without having to be around people, etc. in a more quiet space. on this line of thought, though perhaps going in a different direction, who is to say that a gesture made in front of others is any more of a testament of commitment/belief/this/that/other than an isolated gesture or thought? i don’t know if i’m quite making sense; feel like i’ve spewed a million bits of ineloquence. but what it comes down to is… why the judgment or the separation. as humans, we use and interact both as “performers” and “makers” of objects and situations, etc. so why the differentiation made in art? seems unnecessary. You are currently browsing the archives for the Constellate category.